Marine information for sailing on the Italian Riviera, Nautical tourism and cruise planning boat . Now you can use our online booking service to reserve your hotel ! Simply choose the place you want to stay in the Ligurian Region, select the chosen hotel, check the photos and services and make your reservation. You to make your payment once you arrive at the hotel!! Click here to see the selection of hotels. The first webcam of Liguria Nautica is now online! The first webcam of Liguria Nautica is now online! 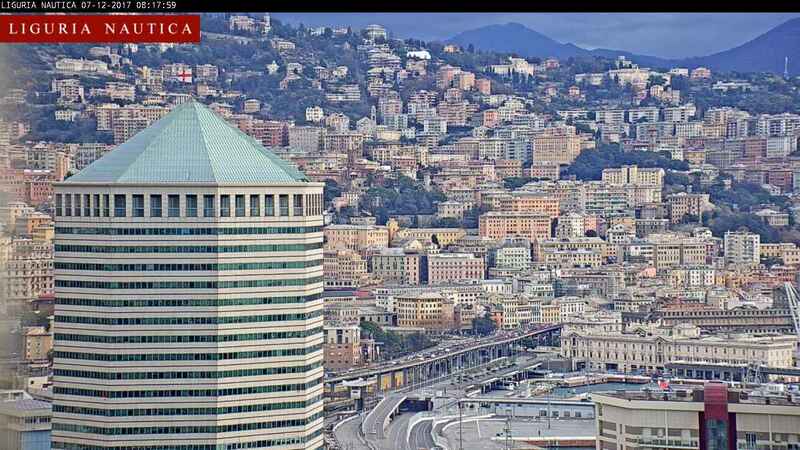 A cutting edge dynamic webcam (the only one online) in Genova, that with cutting edge technology goes around the city with 180 degrees rotation on the Port of Genoa. Check it out before go sailing by boat. Finally the new videos of Genova, Sestri Levante and Cinque Terre are online! The video are made by Liguria Nautica, new videos will allow to visit these unique places with just one click! Of course just before coming to visit in person! We will be waiting for you...more videos are yet to come! Take part to the forum about seafaring, news, fishing, where to eat, where to sleep, about yacht details... The Yacht Riviera is our new website for buying and selling boats. Cinque Terre: one of the most beautiful natural parks of the world, with its rugged portion of coast of the Riviera, and its five villages, perched on a steep dark rock promontory: Monterosso, Vernazza, Riomaggiore, Corniglia and Manarola. Take a look at the photo gallery of Cinque Terre and at the new videos!